The Pilot Profiler® Conveyor system offers material distribution measurement of PET containers transported on a flat-bed conveyor. This system provides real-time data on material distribution and offers in-line process monitoring with laboratory accuracy, providing essential information for light weight operations, quality management and process control functions. 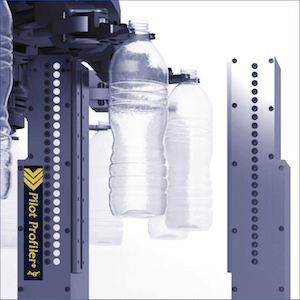 The Pilot Profiler Conveyor system features a conveyor mounted measuring station that can be fitted with up to 32 sensors. 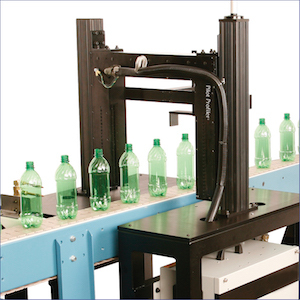 Bottles are measured as they pass by the station, providing a comprehensive thickness profile over the entire sidewall of every container.